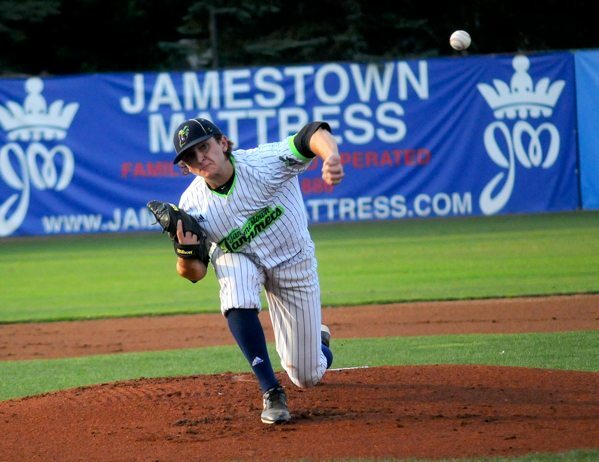 The Jamestown Jammers left runners on base in every inning of their Perfect Game Collegiate Baseball League playoff game against the Onondaga Flames on Tuesday night. It got so bad that by the end of the 10th inning, the West Division’s No. 1 seed had stranded 20. That was all forgotten in the 11th inning. 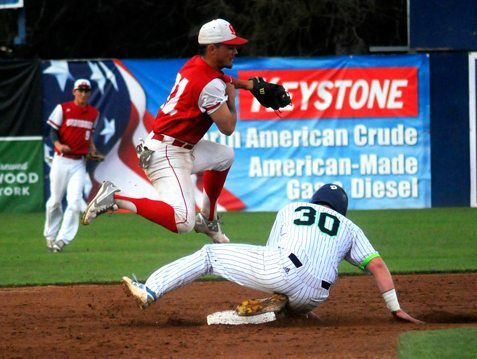 John Conti (Canisius College) hit a single to the left-center field gap that scored pinch-runner Christian Deaton (CSU Bakersfield) with the winning run as the Jammers walked off with a 3-2 win to advance to the West Division championship series. Jamestown will now face No. 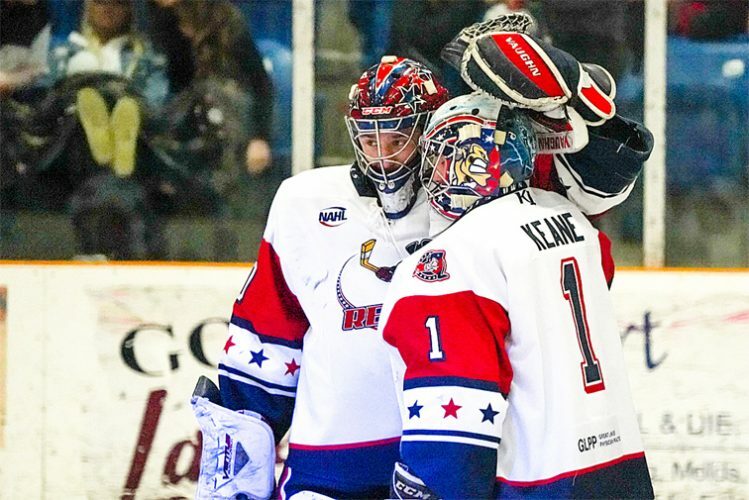 3 Elmira in a best-of-three West Division championship series after the Pioneers knocked off No. 2 Geneva, 12-2, in Tuesday’s other elimination game. Game 1 will be at 7:05 tonight at Diethrick Park. 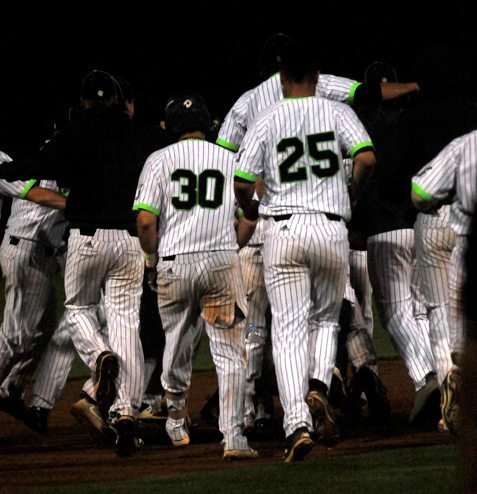 Despite Jamestown’s inability to drive in runs through the first 10 innings of Tuesday night’s game, the 11th inning played out just how manager Anthony Barone imagined. Matt Cross (Niagara County Community College) hit a hard single through the left side of the infield to lead off the frame and Barone called on Deaton to pinch-run. Ryan Markey (St. John’s University) then laid down a sacrifice bunt to move Deaton up to second base and the Flames chose to intentionally walk leadoff hitter Christ Conley (Canisius), who had already reached base five times in the game. Conti then fouled off a pair of pitches before lacing an 0-2 pitch past the glove of Onondaga shortstop Wyatt Myers. Deaton froze on the line drive, but still had time to race home with the winning run, sparking a wild celebration on the infield as Conti attempted to run away from a throng of teammates near second base. Jamestown would have never been in position to win the game late if not for a splendid performance by a pair of pitchers. David Lyskawa (Niagara County CC) threw the first seven innings, allowing five hits and two runs (one earned) while not walking a batter and striking out two. The left-hander allowed an unearned run in the first when a throw got away from third baseman Chris Estrada (University of Texas-San Antonio) on a two-out infield single, allowing Trey Baur to reach second base. Sam Little followed with an RBI double to give the Flames a 1-0 lead. Onondaga added a run in the fourth inning as Little led off with a single, went to second on Camillo Spinoso’s groundout and scored on Alex Canty’s RBI single. 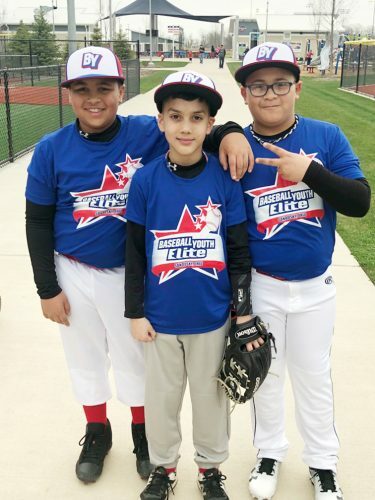 The Jammers gave Lyskawa no support, leaving two men on in the second, fourth and sixth innings while leaving the bases loaded in the first, fifth and seventh innings. Isaac Meza (CSU Bakersfield) opened the eighth inning and was virtually unhittable. Meza set down the Flames in order in the eighth, ninth and 10th innings before Baur was caught stealing after a two-out single in the 11th. The Jammers and Pioneers will play a three-game series that will go from Jamestown to Elmira on Thursday with an if-necessary game back at Diethrick Park on Friday. 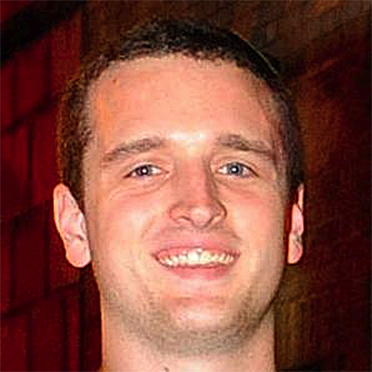 Bradley Griggs (UTSA) will get the start on the mound tonight for the Jammers. NOTES: Little was 3 for 4 with two doubles, an RBI and a run scored while Baur was 2 for 5 for Onondaga. … Ben Brookover (UTSA) was 3 for 5 with an RBI, Conti was 2 for 6 with two RBIs and Cross was 2 for 6 for Jamestown.